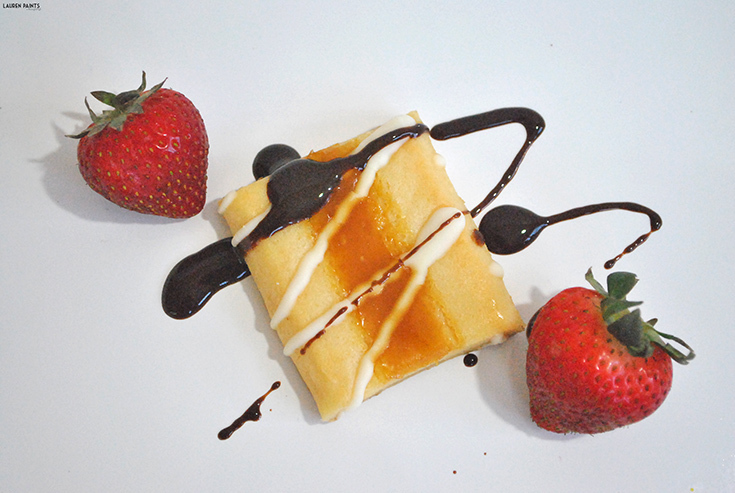 I'm a bit of a foodie with a true love for anything remotely resembling dessert. Lately I've been craving one of my favorite desserts though; I want the perfect slice of cheesecake! I'm obsessed with the rich, creamy texture, the buttery graham cracker crumb crust, and the most delicious flavors. The thing is, I've lost a lot of weight recently and I'm really trying to live a healthier lifestyle which means I tend to steer clear of desserts in general, especially cheesecake. This is tough, but worth it! 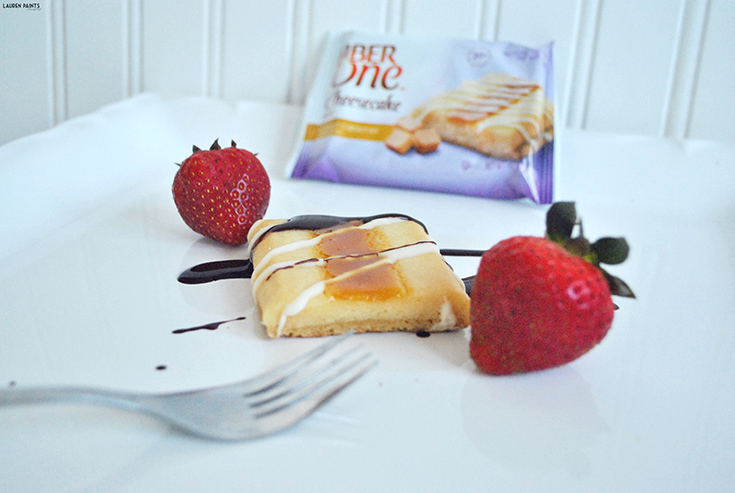 I was living a in cheesecake-less world for the last few months, until I found Fiber One Cheesecake Bars in Salted Caramel and Strawberry! Now I can indulge in cheesecake daily, if I please and not worry about gaining each time I take a bite. 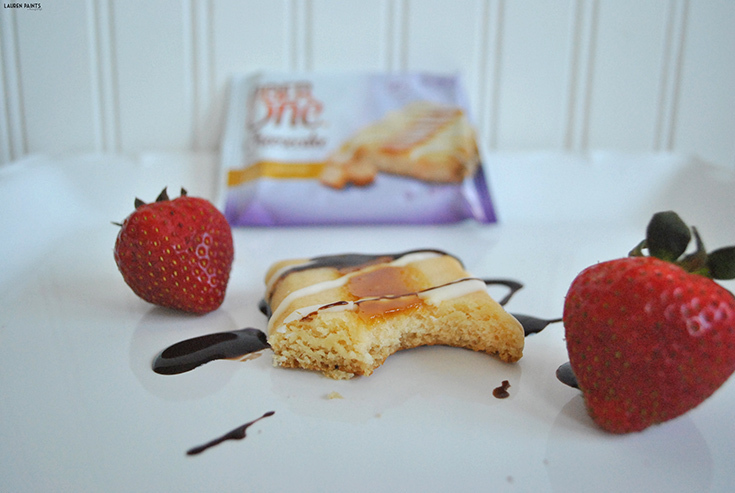 These delicious little treats are the ultimate after dinner "dessert"; offering the perfect creamy texture, a moist and flavorful graham cracker crust, and a swirl of caramel (or strawberry) that really adds that extra little touch and really boosts the flavor all for just 150 calories! I love serving these Fiber One cheesecake desserts to company with a drizzle of chocolate over the top and a couple of strawberries for decoration! 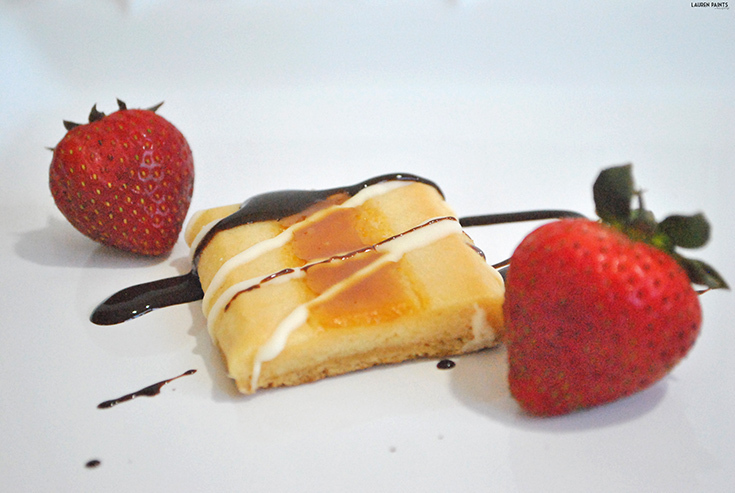 Think restaurant quality dessert, without any hassle or guilt - what more could a cheesecake-loving-foodie ask for? Are you ready to follow your cheesecake instincts? 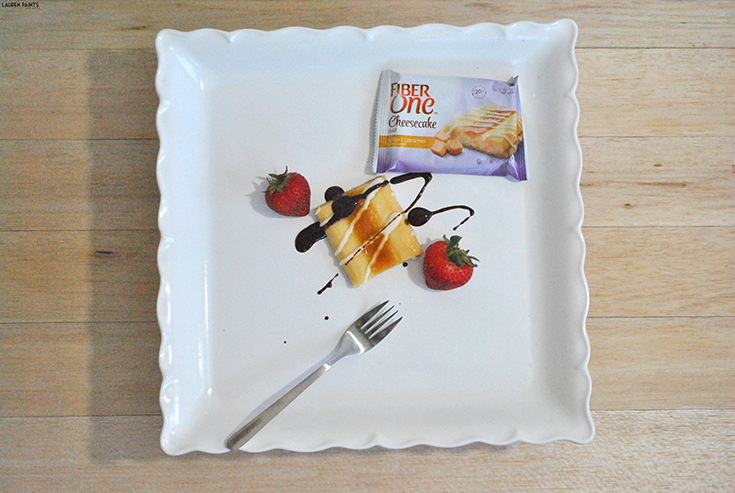 Enter to win $15 CASH so Fiber One and I can treat you to a couple of boxes of cheesecake bars! Not only do you have the opportunity to win some cash, you can save some $$ as well. Check out all the awesome coupons and exclusive savings only at Publix! So what are you waiting for? Head to Publix and grab a box or two of Fiber One Cheesecake bars, because now you can have your cheesecake, eat it, and save money too!